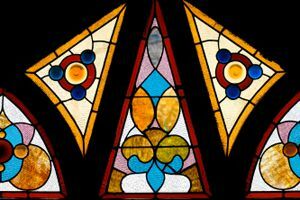 Where do you need Stained Glass & Window Companies? Comment: The glass besides front foor needs to be replaced, it is frosted glass aproximately 8 feet by one foot. Please note this is not an exact measurement. Comment: The smoked glass is shatter/broken. The door is all glass with metal surround. We would like to have a metal panel installed instead of smoked glass. Comment: This is a lamp shade which froms a square from 4 triangles. 1 triangle is broken and pieces missing. Not sure this is the type of work you do bu inquiring anyway. Comment: need a panel replaced in a stained glass light fixture; have a second fixture with replacement parts. Chicago Stained Glass & Window Companies are rated 4.27 out of 5 based on 33 reviews of 5 pros. Not Looking for Stained Glass Contractors in Chicago, IL?